The Mauviel M'passion tatin pan allows you easily to make the delicious French dessert, tarte tatin. The pan has to ears / handles so you will be able to easily and safely move it into and out of the oven. Tarte tatin is a French upside-down pastry dish in which fruit is caramelized in butter and sugar before it is baked. This amazing pan will help you do just that. 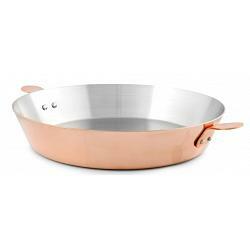 The Mauviel tatin pan is made from 1 - 2mm copper with a stainless steel lined interior. 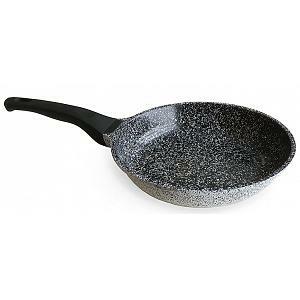 The pan has a capacity of 2L / 2.1qt and diameter of 28cm / 11 inches. The tatin pan is oven safe and can also be used on gas, electric, and halogen heating surfaces. The pan has a lifetime warranty and was proudly made in France.